The human remains collection at the Petrie consists of around 80 human materials ranging from hair fragments to a nearly complete body. A multidisciplinary project was initiated by myself in 2015, with the aim of improving the current documentation, long-term accessibility, storage and research potential of these human remains. (See Fig.2.). The most exciting part of the project is the collaboration with Wendy Birch from Anatomy Lab, UCL, accessing the specimens with radiographs and CT scans in order to create accurate anatomical descriptions. 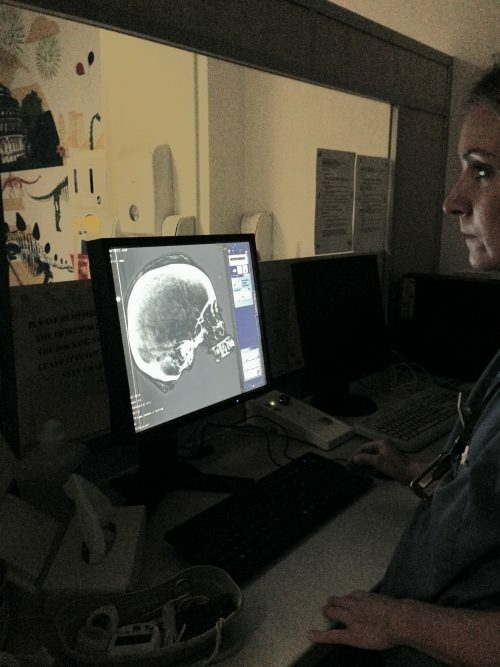 An initial session of radiographs was made of six human remains at University College London Hospitals (UCLH), (See Fig.3.) 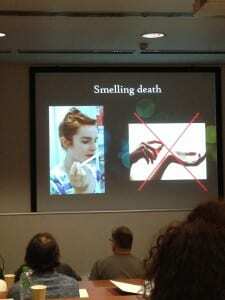 the interpretation of the radiographs is still being researched. Wendy and I presented a talk at the two day conference Corpses, Cadavers & Catalogues-The Motilities of Dead Bodies and Body Parts, Past and Present at the Barts Pathology Museum and the Huntarian Museum at the Royal College of Surgeons, London. The talk focused on sharing our research on the project. (See Fig.4.). The conference was fascinating, with a diversity of subjects presented such as the shortage of cadavers in Edwardian times, the indigenous perspective on the repatriation of human remains from a Maori context and the grave robbing of Sami remains in Norway. 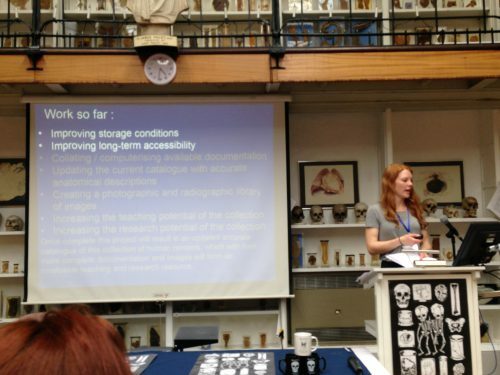 The conference gave me a new perspective but also was a great opportunity for sharing and exchanging knowledge and it allowed us to seek advice about a future catalogue of the human remains at the Petrie Museum. There will be more blogs on this subject so keep watching this space for updates. 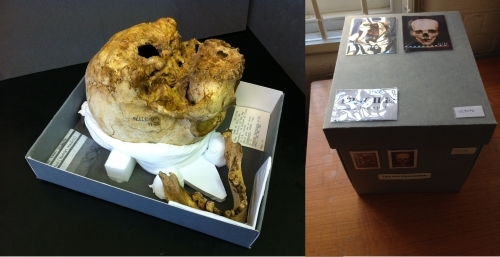 Links to other blogs from UCL Museums and Collections, relating to human remains, display and ethics from the Grant Museum and from the Petrie Museum .